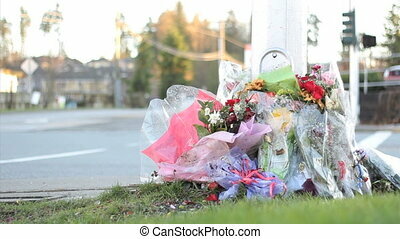 Accident memorial by the road. 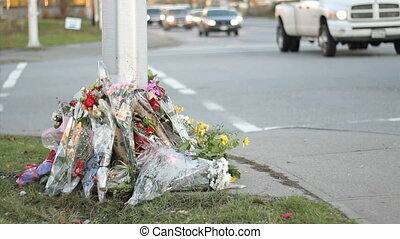 Flowers lay against a tree by the side of a busy street following a fatal auto accident serving as a reminder for all of us to "slow down" and drive safe! 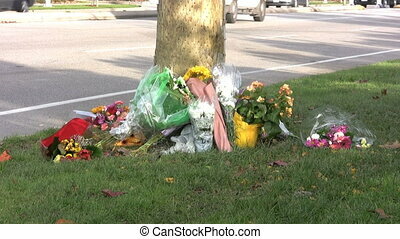 Flowers lay against a tree by the side of a busy street following a fatal auto accident serving as a reminder for all of us to "slow down" and drive safe! 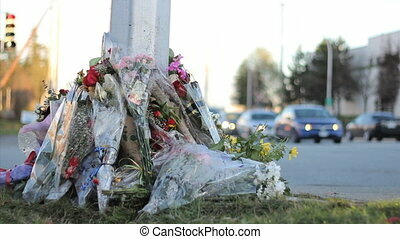 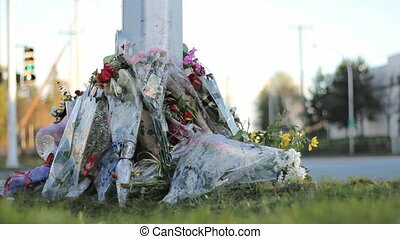 Flowers are taped against a light standard by the side of a busy street following a fatal auto accident serving as a reminder for all of us to "slow down" and drive safe! 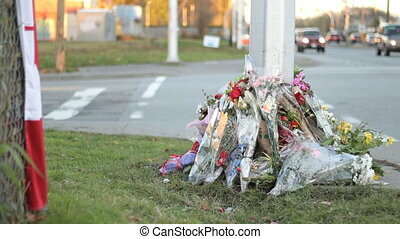 A roadside memorial marks the death of a young police officer killed in the line of duty. 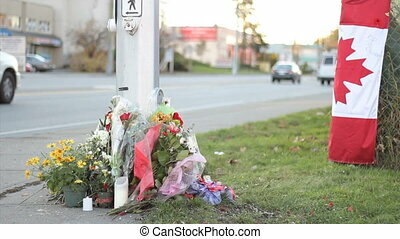 A cross with a red rose leans on a lamp post by the side of a busy intersection signifying a recent traffic accident and death. 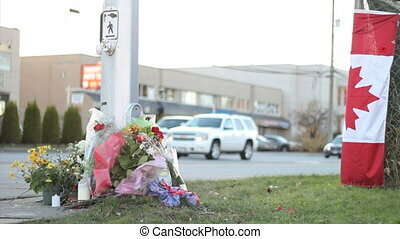 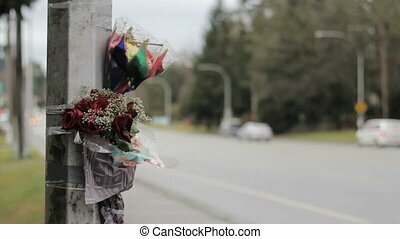 Flowers at a busy intersection mark a tragic unnecessary death. 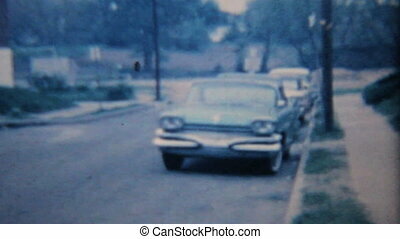 An old Pontiac automobile parked by the side of the road. 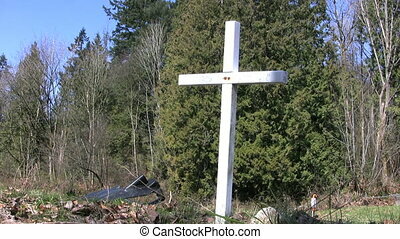 A white cross stands by the side of the road serving as a reminder for all of us to "slow down" and drive safe! 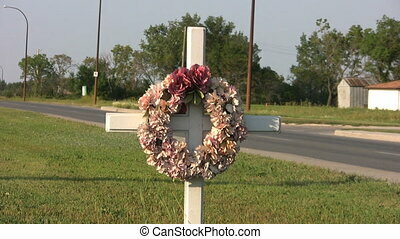 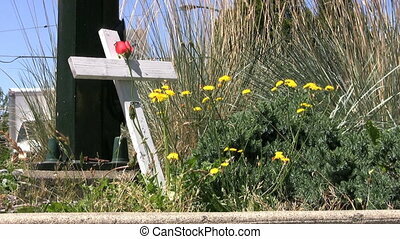 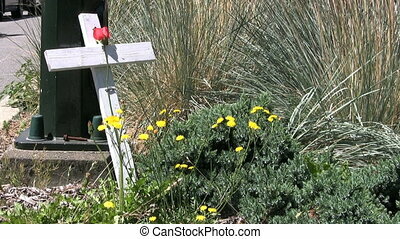 A white cross with a flower wreath hanging on it stand by the side of the highway.